The Earth’s diverse, ever-changing landscape is what draws to many of us to develop an interest in geology, and I’m sure I’m not alone in wanting to discover the 11 tallest mountains in the world. The question is not a simple as it sounds: first, we need to define what we mean by ‘tallest’. Most of us have heard that Mount Everest stands shoulders above any other structure or formation above the earth, and when we consider altitude, this is true: because the base of Everest begins relatively close to sea-level, the majority of the peak is above water, meaning it rises to the highest altitude in the world. We will use altitude to define the height, as this allows us a greater degree of accuracy. You may read that Mauna Kea, a volcano on Hawaii, is classed as the tallest mountain: this is because the majority of the volcano is below sea-level; only 13,796 feet is out of the water, compared to the 33,465 feet which is below the sea! However, as much of what lurks at the bottom of the ocean remains a mystery to us mere mortals, measurements that begin below sea level are notoriously inaccurate. For reasons of precision, therefore, we will define ‘tallest’ in terms of ‘highest altitude above sea-level’. This is how we experience ‘tallest’, and so the tallest mountains to climb are those that tower high above sea-level. 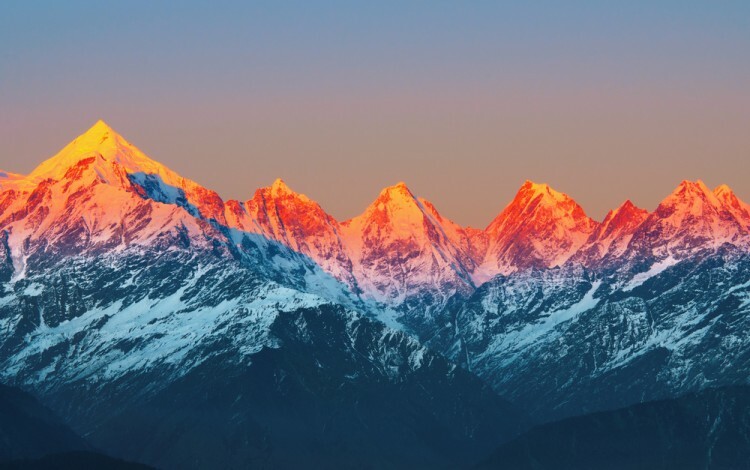 You might be surprised to discover that all the mountains making our list of the 11 tallest mountains in the world are all found relatively close to each other in Asia. All eleven fall in the ranges of the Greater Himalayas and the Karakoram, which despite being adjoined in geological terms, politically speaking they are considered separate. Whatever the distinction, if climbing one of the world’s tallest peaks is your ambition, you should head straight to the mountains of northern Asia! And, if mountain biking is more of your choice for outdoor sport you should definitely check out our article on the top 13 most expensive mountain bikes in the world. Now, let’s get back and discover those tallest mountains in the world.